There is a big debate over the cost efficiency between a hybrid vehicle and a gasoline vehicle. Some people seem to think that hybrid vehicles are more cost efficient because they consume less gasoline and won’t require you to purchase more gasoline as frequently. Others feel that hybrid vehicles themselves are too expensive for the gas savings to really benefit them. So, is a hybrid vehicle really more cost efficient? Below is a list of the advantages and disadvantages of hybrid and gasoline vehicles in terms of cost efficiency. After reading this list, you can decide for yourself which vehicle will be more cost efficient for you to drive. Burn Less Gasoline – Since hybrid vehicles have power assistance from an electric motor, they don’t burn as much gasoline as a conventional vehicle. This means fewer trips to the gas pump. Insurance Discounts – There are a lot of car insurance companies that will give their customers discounts on a plan that covers a hybrid vehicle. Traveler’s Insurance, for example, has their own division for issuing hybrid car insurance. Fewer Maintenance Costs – If you drive slowly around town, you won’t be using your gas engine that much. This means you’ll less likely have engine problems that would require you to pay for costly repairs or maintenance. Expensive to Purchase – You might save on gas with a hybrid car, but you’ll have to pay thousands of dollars more to purchase one. All those saved trips to the gas station probably won’t make up the difference of all the extra money you spent on the purchase price. Bad for Highway Driving – If you’re someone who takes the interstate to work every day, then you probably won’t find much of a cost benefit with a hybrid car. Faster speeds require you to consume more gasoline, which means you’ll be spending more money on gas than you thought you would have. Expensive Repairs – Hybrid cars should not have any mechanical problems for a long time. However, once problems do start, it can be very expensive to fix them if you don’t have an extended warranty. Read also: How do Hybrid Cars Work? Cheaper Purchase Price – The economy class gasoline cars are much cheaper than the cheapest hybrid cars. You can get an economy class gasoline car for as little as $13,000 new in some cases. 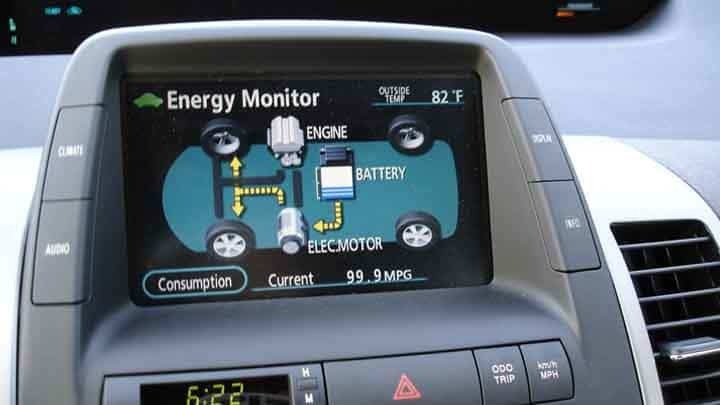 Good Fuel Economy – There is new computer technology being integrated into modern gasoline cars which help it conserve fuel more than they used to. Some experts say this technology is almost allowing the gasoline vehicle’s fuel economy to match the fuel economy of a hybrid. Costly Gas – Even if you only do driving around town, you still have to consume gasoline each time you accelerate your vehicle. This means you’ll be purchasing gas more frequently than if you were using a hybrid. Regular Maintenance Needed – Internal combustion engines require regular maintenance to stay functional. This means more costs for maintenance and for repairs that you’ll frequently need to make. For someone who is truly on a tight budget, a gasoline car would likely be more economical. Even though they are worse for the environment than hybrid vehicles, the gasoline vehicles are still cheaper to purchase and can provide the vehicle with the proper amount of power to accelerate at high speeds. You may be purchasing gasoline more frequently, but it still won’t add up to as much as you would spend purchasing a new hybrid. Hybrid vehicles may be suitable for people who don’t mind the purchase price and only plan to do driving around town. If you purchase a hybrid for highway driving, then you’ll still be purchasing a lot of gas in addition to the excessive purchase price amount that you paid. So, factor all of this in when making your decision.